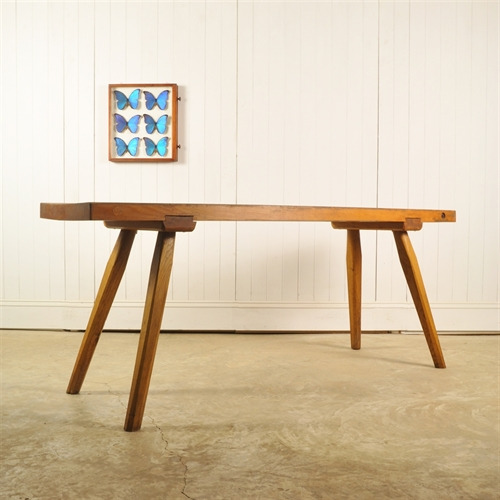 Circa 1930's this table was sourced from a farm. 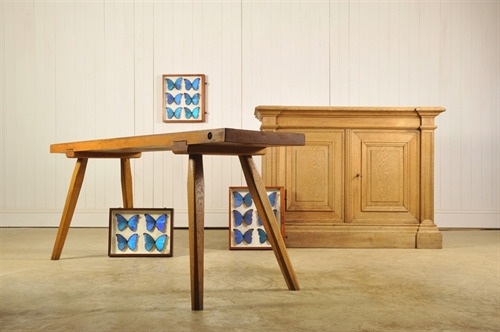 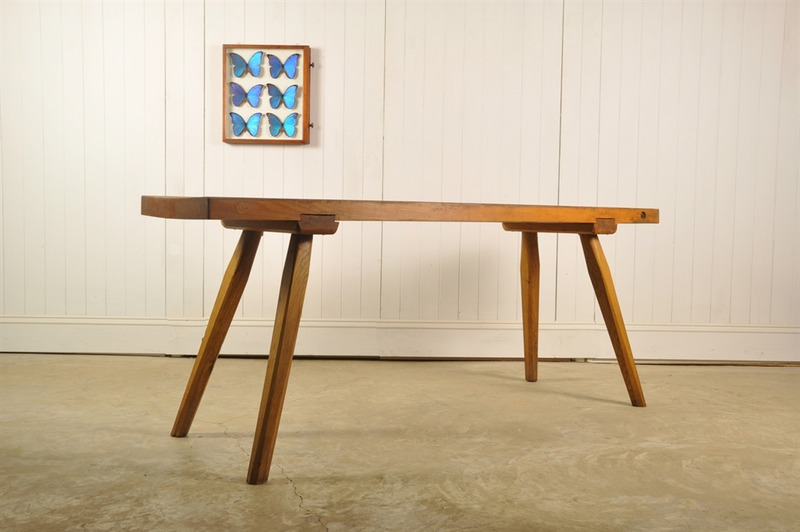 Made from beech with thick chopping top and tapered legs. 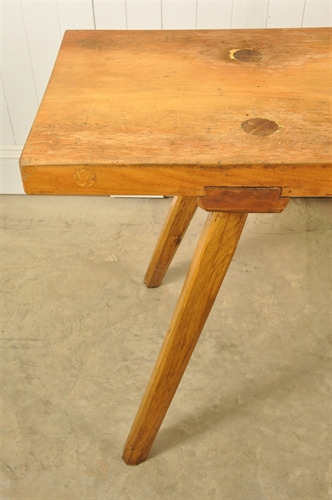 Although early 20th century this table hasn't had a huge amount of use and has few chop marks on the surface. 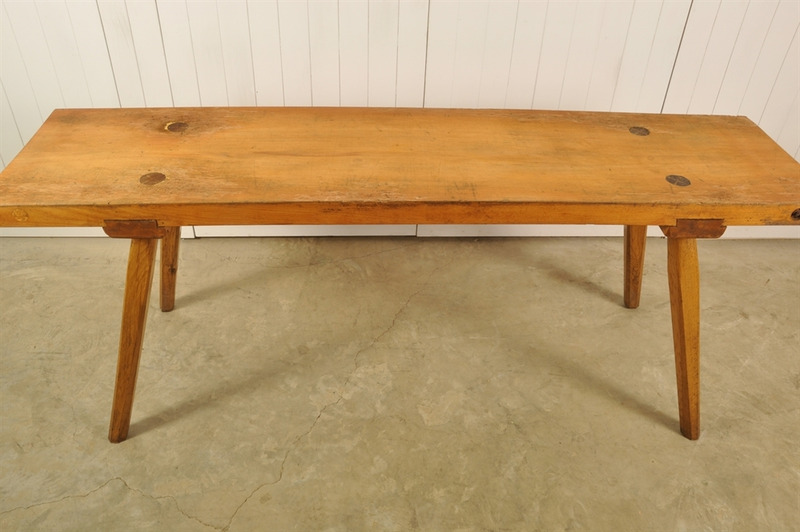 It has had some woodworm, notably where the legs connect to the surface which can been seen on the surface. This has been re-treated and the table is extremely sturdy. 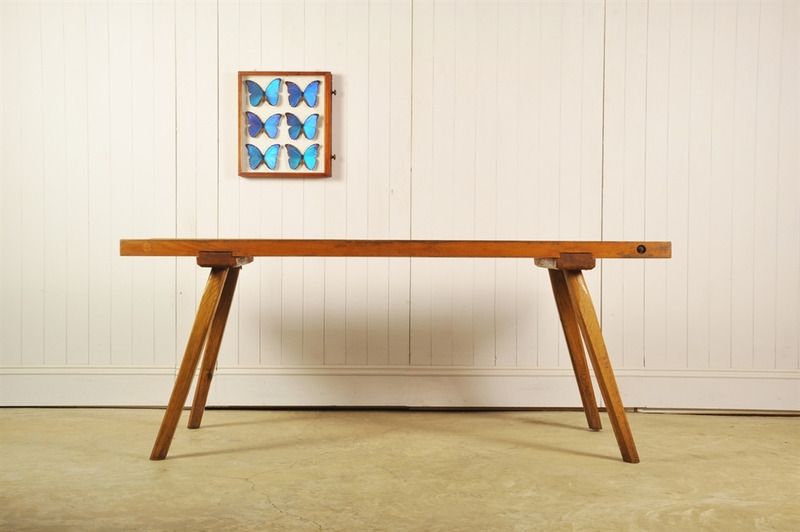 A lovely simple console table with clean lines.